Bhojanakutuhalam of Raghunatha suri literally means curiosity for or about food. This work quenches the thirst of the seekers of knowledge about the different natural food elements and also the food products that prepared by processing these elements. It also gives a detailed exposition of various aspects associated within consumption of food, water etc. This text is an encyclopedic work on ancient food science and technology developed by our predecessors. 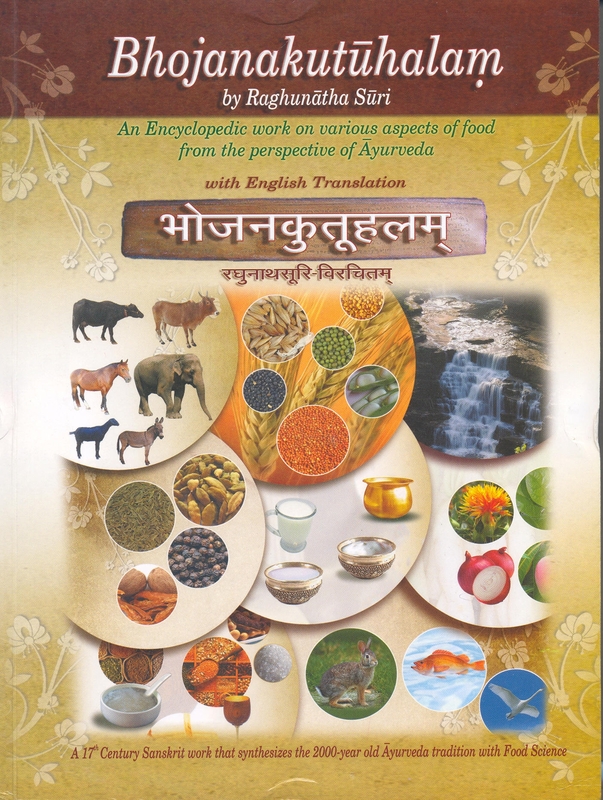 Though the author belongs to the 17th century he has compiled in a scientific manner all the information available about food, right from the ancient texts like caraka samhita etc to the medieval texts that were available up to this time. This product was added to our catalog on Tuesday, 06 March 2012.